If you’ve missed a friends birthday then you can still make it up to them! Just send them a belated birthday eCard! 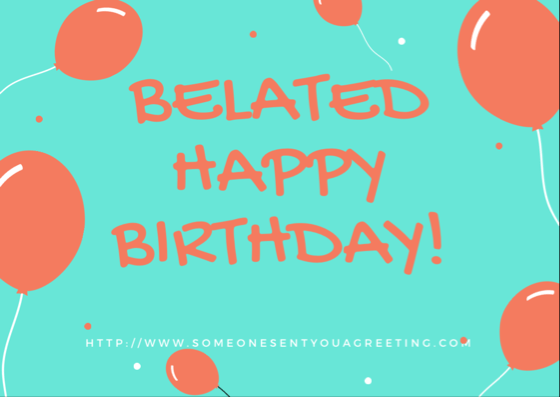 Try one of our belated birthday eCards below to make amends for missing someone’s big day. Just pick your favourite, scroll to the bottom and fill out the required details and hit send. Very quickly they’ll have your apologetic birthday card and will be forgiving you for missing the actual day.